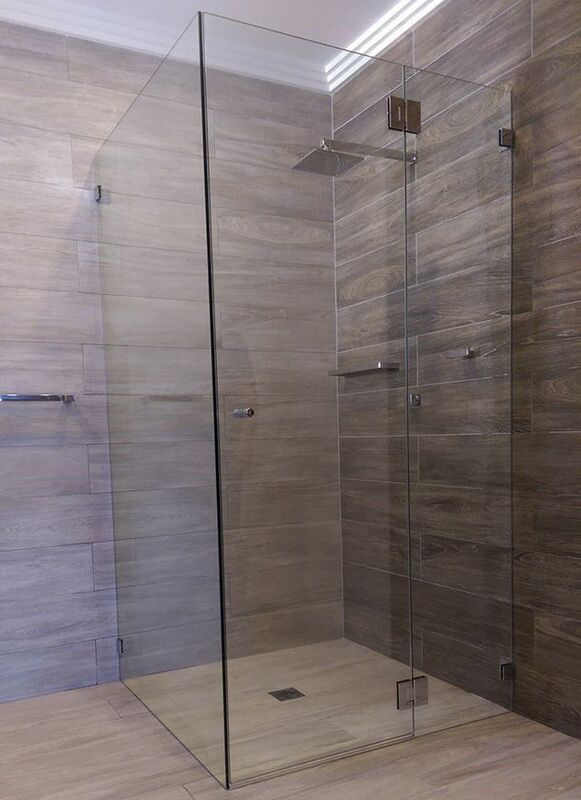 A Frameless Shower Screen delivers exceptional style and elegance to any bathroom. With affordable pricing and a choice of polished or black fittings; our range is sure to meet your requirements while delivering a stunning appearance. The 10mm glass panels meet all Australian Standards. 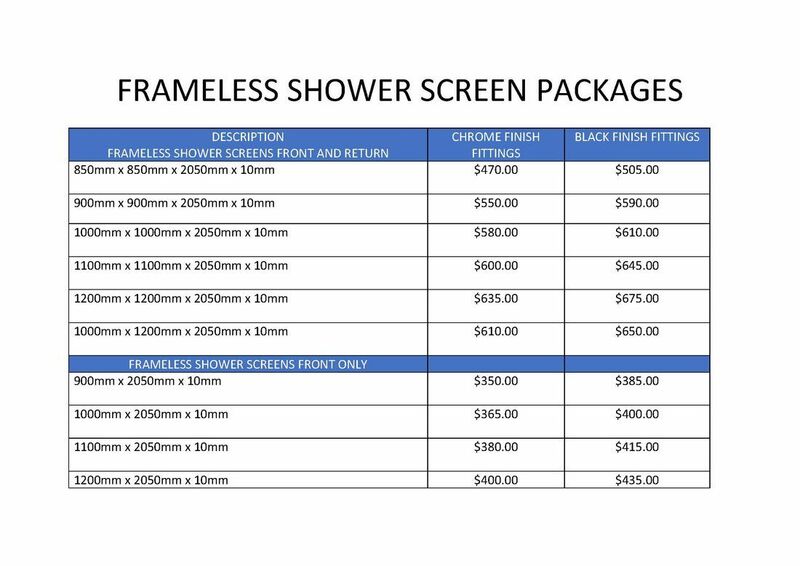 We have a range of frameless shower screen configurations to suit your requirements. Return panel, hinge panel, door panel, brace panel, hinge set, fixing brackets, door knob and silicone.